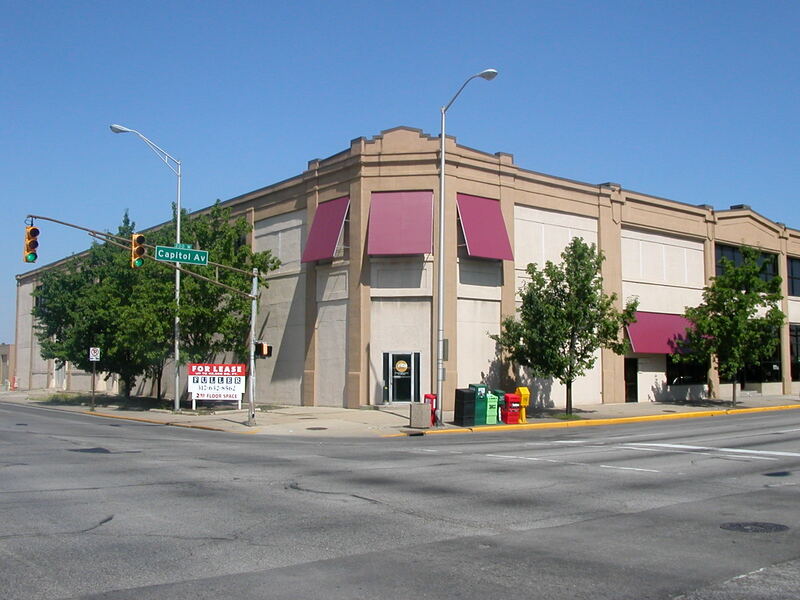 A few weeks ago I shared the story of the beginning of this area with Carl G. Fisher relocating his Fisher Automobile Co. showroom to 400 North Capitol Avenue in 1909. This article covered most of the automotive establishments in the 400 block. Let’s step across Michigan Street and see what happened further north. The Cadillac Co. of Indiana/Automobile College at 500-514 N. Capitol was built in 1910. The first floor housed a Cadillac dealership and on the second floor was the college that was reputed to be one of the first “technical” schools related to autos in the country. Just north on the west side of the block was Cooper Tire Service built in 1910. Continuing up the west side of the street to the 600 block of N. Capitol, we come to the William Small Co. at 602, built in 1915. 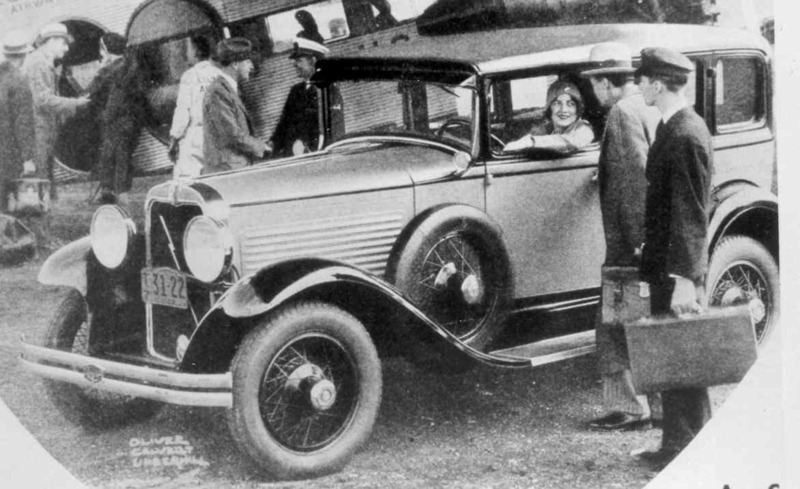 Originally constructed as a dealership, the site became home to Monroe automobile manufacturing from 1918-1923. In 1920, Louis J. Chevrolet (the person for whom the Chevrolet is named) built four Monroe and three Frontenac race cars at this site. His brother Gaston Chevrolet drove a Monroe to victory in the 1920 Indianapolis 500 and Tommy Milton drove a Frontenac to win the 1921 Indianapolis 500. With this victory, Chevrolet became the first car builder to win two Indianapolis 500 mile races. 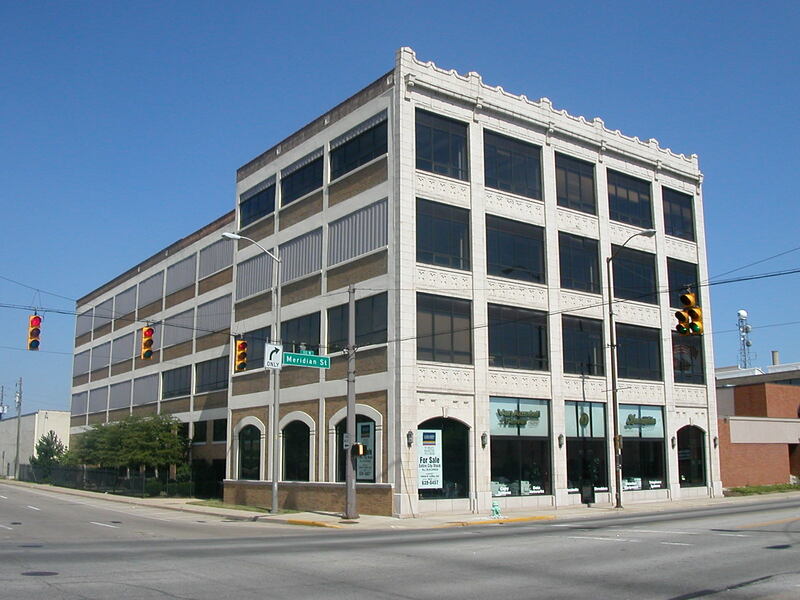 The Goodyear Tire and Rubber Co. built its regional service center at 640 N. Capitol in 1913. Across the street on the east side was the Williams Building, known as a “cafeteria of auto parts companies,” built in 1916-1917 at 611-617. Just north was the Hatfield Ford Co. showroom and service center at 627 N. Capitol built in 1920. This building served as a Ford dealer into the 1970’s. A few blocks north we come to the Stutz Motor Car Co. (1914-1920) at 1002-1008 N. Capitol and the Ideal Motor Car Co. (1911) at 221 W. 10th Street. 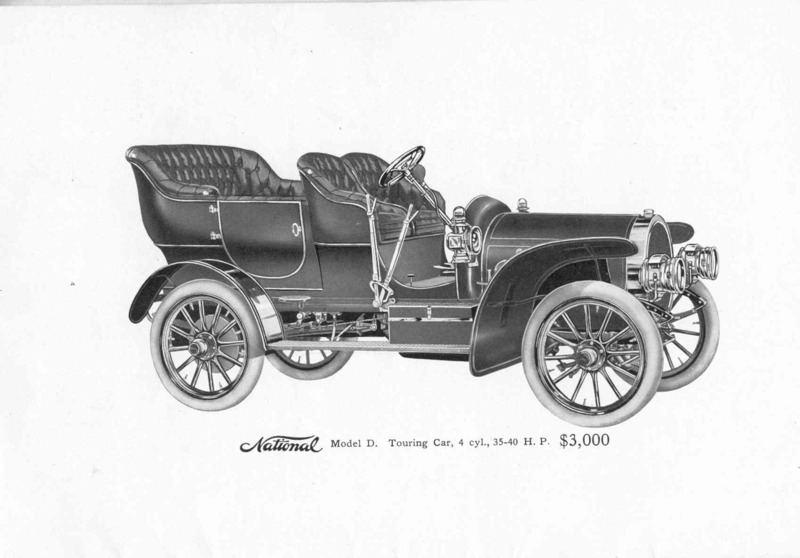 The first Stutz automobile was built at Ideal for the inaugural running of the Indianapolis 500 in 1911. A Stutz Model A torpedo roadster served as the pace car at the 1912 Indianapolis 500. 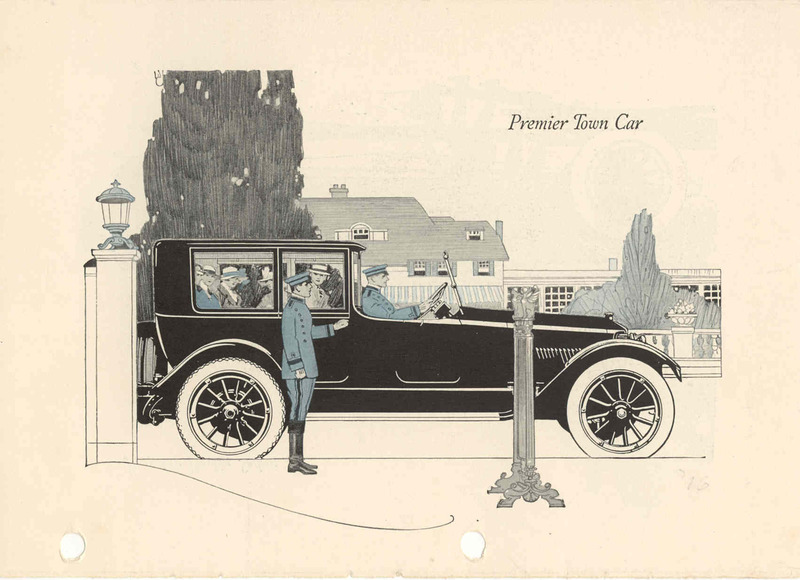 In June 1913, the Ideal Motor Car Company was reorganized as the Stutz Motor Car Company. Following the initial success of the Stutz Bearcat roadster, construction of new facilities commenced at 1002 N. Capitol. 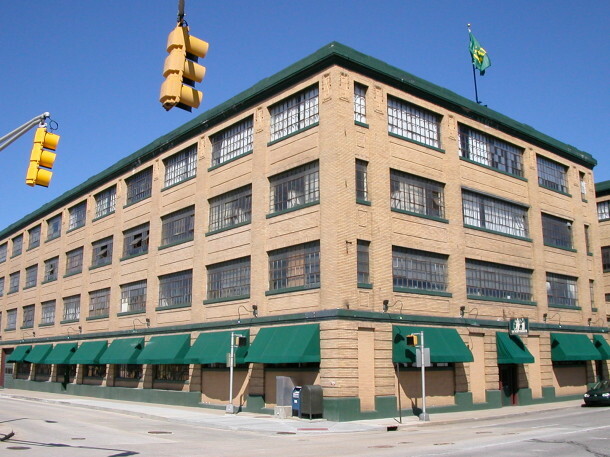 Stutz production continued here until 1934. Further along the street we have the Harry V. Hyatt Graham-Paige Co. at 1327 N. Capitol built in 1929. This building is a good example of a single-story showroom. In the next block was the Stutz Fire Engine company at 1411 N. Capitol built in 1919. Across the street was the HCS Motor Car Co. at 1402 N. Capitol built in 1920-1921. This was Harry Clayton Stutz’s last auto venture. This was “Indianapolis Auto Row” in the first three decades of the twentieth century. Most people are unaware that they are passing by some Indiana automotive landmarks as they motor down North Capitol Avenue in a hurry for work, shopping, or an entertainment. It is so nice that each of the 3 automotive buildings discussed still exist. Dennis, did you mention the Stuz showroom on Meridian? Yes, there is much to enjoy about Indianapolis’ Auto Row on Capitol Avenue. Stay tuned. I’ll cover the Meridian Street automotive structures in another article. Thanks again. Just north of Hatfield Ford was a longstanding Gates and Goodyear dealership called Federsl Tire Sales. It closed in 1972. 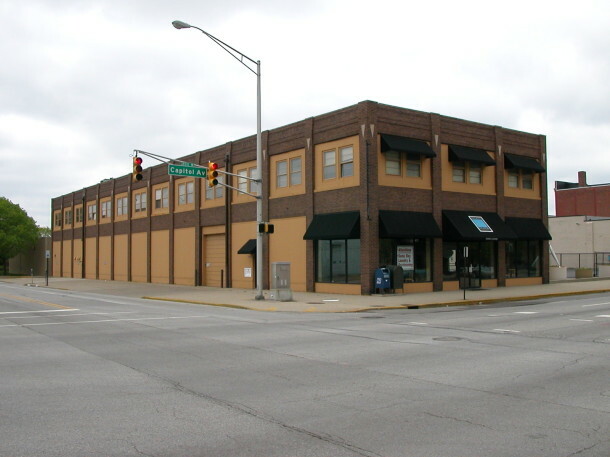 Some information about the “Hatfield Ford” building 625 N Capitol Ave. Today it is home to Economy Plumbing Supply which moved there in1984. Before that it was Payton Wells Ford for a short time. I story I was told Henry Ford supervised the construction of the building in the early 1900’s. Its built with 3 floors and half of basement. The original design was for 6 floors with foundation to support that. There is a ramp from the second floor down to the first, I remember my Dad buying a 1963 Thunderbird and seeing it coming down the ramp. The first floor was mainly oil and lube racks, the second floor was for service and still has the track all the way around for moving big items like engine blocks. The 3 floor was for paint and body work and yet today has a wash rack with a overhead hoop the rinse the cars off and a paint room with a overhead doors on each end of that room. You can see still the exhaust fans from the outside. There is pictures showing model t’s being serviced on the 2nd floor and one of Roy Rogers out front with a truck and trailer along with Trigger (his Horse) with the workers hanging out the second floor windows.